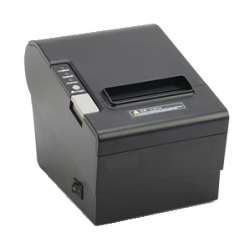 The Resaleworld Thermal Receipt Printer is the perfect add-on to your cloud solution. Featuring an ethernet port and fast printing, it will easily deliver speed to your printing requirements. This printer is the perfect addition to your cloud solution. It does NOT need to be attached to a computer in order to work. You can use one printer for multiple POS stations within close proximity of each other to save money. You will need a router in order to use this printer for your cloud solution. You can use this printer on your desktop with either USB or ethernet as well. A router is always required if you plan on using ethernet. THIS PRINTER COMES WITH A LIFETIME WARRANTY FOR ALL CLOUD CUSTOMERS!